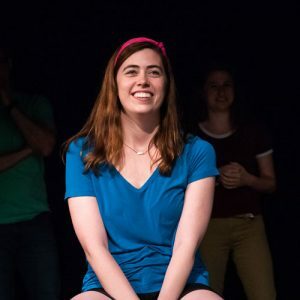 Tess is a self-proclaimed smart cookie and DC area native, who has luckily grown out of calling the Washington Monument "The Pencil." Tess is also a professional actor in the DC area, having worked with companies such as Imagination Stage and Theater Alliance. There was also that one time that she did a commercial for Black and Decker and had to learn how to install a new door handle. When not on stage, Tess is usually leading a yoga class or teaching piano lessons.